Actress Kim Yun Jin (김윤진) attended an event held at the 15th Busan Film Festival on October 8, 2010. Stars like Son Ye Jin (손예진), Ahn Sung Ki (안성기), Jung Jae Young (정재영) and more were also present. The actress was seen wearing an entire outfit from Burberry Prorsum Fall 2010 collection, just like Kim Min Hee (김민희). They say, you can never go wrong with a Burberry coat.. and yes, she looked amazing! Despite it being an entire look from the runway (not much difference), I actually really like it! She worked the thigh high boots too! Smart casual! What do you think? 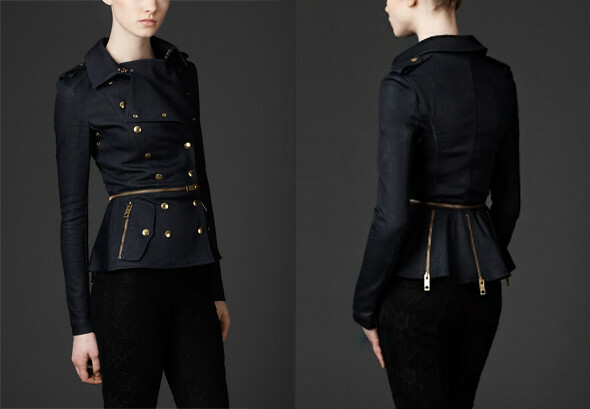 The Zip Denim Double Breasted Cadet Denim retails for USD$750.00 on Burberry.com. The Drape Wool Cardigan retails for USD$995.00 on Net-A-Porter.com. Lastly, the Thigh-High Leather Boots retails for USD$1495.00 on Net-A-Porter.